Adventist universities and health-care centers are moving forward in promoting interprofessional education and collaboration among their university partners. IPE is necessary to equip future health-care professionals with skills such as communication, joint problem-solving, and teamwork to optimize patient safety and enable quality service in ever-changing health-care systems worldwide. In working with students from a variety of health-care programs, the team found that high-technology approaches were more effective than non-simulated, low-technology modalities. For example, high-technology simulations provided students with immediate feedback on patients’ vital signs (as well as other forms of data), and allowed them to make decisions, thus mirroring a real-world context. Today, LLU continues this effort through the interprofessional learning (IPL) experience, which is open to all of the university’s schools. Students from the schools of nursing, medicine, pharmacy, allied health (departments of radiology technology and physician’s assistant), public health, dentistry (dentistry and dental hygiene), and behavioral health (child-life department) participate in IPL. All of the participating students complete the Readiness for Interprofessional Learning Scale (RIPLS) survey17 prior to and after their IPL experience. During the four-hour IPL session, groups of eight to nine students from three to five different LLU schools rotate through three stations at the university’s Medical Simulation Center Before starting the activities at each of the three rotations, the students engage in a 20-minute learning experience designed to prepare them to use TeamSTEPPS® communication strategies18 as they encounter, problem-solve, and intervene in a variety of patient scenarios. In two of the rotations, students are able to take advantage of the simulation patient suites with high-fidelity manikins. During their “immersive” rotation, students are able to observe and intervene as they experience a simulated patient emergency. A second rotation is designed to expose the students to a variety of commonly encountered patient and staff issues requiring optimal team communication and problem-solving. In each of these rotations, students are able to debrief following the learning experience, ask questions, and practice and review key concepts. 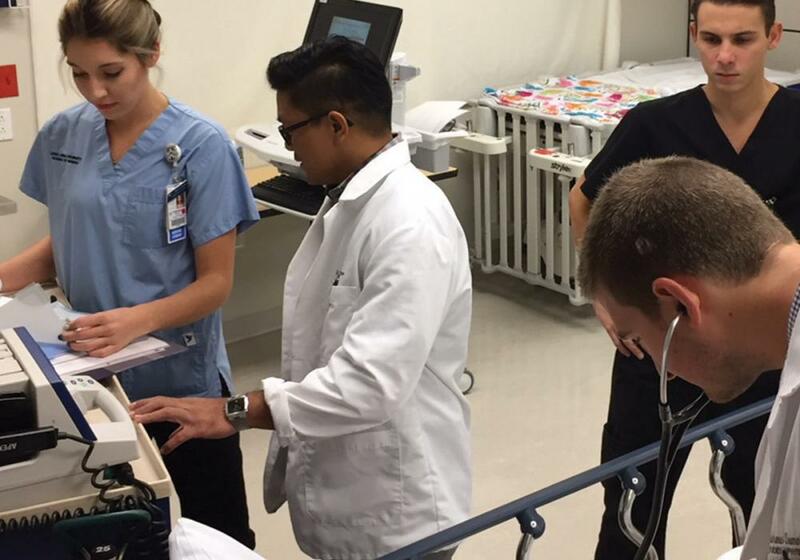 In the third rotation, students review case studies of an acute-care situation and the accompanying long-term or community-based follow-up. The scenarios were developed to stimulate participation from all the disciplines involved as students discuss assessments, key interventions, referrals, and concerns that each of the professions would address. A guided one-to-one interview also occurs during this “scope of practice” rotation, which promotes sharing, understanding, and communication amongst the student participants. Each fall, LLU’s School of Allied Health coordinates a half-day interprofessional workshop that involves all the departments preparing allied-health professionals, (cardiopulmonary sciences, clinical lab sciences, communication sciences and disorders, health informatics and information management, occupational therapy, orthotics and prosthetics, physical therapy, and radiation technology). Prior to the workshop, the students study a case scenario so they are prepared to share their profession’s scope of practice and clinical context. During the 80 minute rotations, the students from the various departments interact to provide collaborative, whole-person care. Before the experience ends, the students receive a presentation from participants who were involved in the real-life case the students had been studying throughout the session. The culminating debriefing allows participants to reflect on how collaboration facilitated quality patient care as they discuss how to preserve life and maximize function. Each spring quarter, students from the schools of medicine, pharmacy, nursing, dentistry, and the emergency medical care department within the School of Allied Health participate in a half-day “Critical Event Response Lab,” which is designed to prepare health-care professionals from various backgrounds to work collaboratively when faced with various disasters or multi-casualty situations. Prior to attending an assigned half-day lab, students complete a multi-module, online interactive course covering topics such as basics of disaster medicine, disaster triage, public-health response to disasters, TeamSTEPPS® communication strategies and mental-health concepts of disaster, along with specialty modules designed for each school. They also complete pre-assessments prior to attending the onsite course and, with participants from the various schools, rotate through five stations―a triage station, decontamination simulation, and three scenarios in the LLU’s interprofessional Medical Simulation Center suites where they encounter various disaster scenarios requiring teamwork, communication, and effective interprofessional intervention. Following each experience, the students are given an opportunity for debriefing and reflection. At the conclusion of the Critical Event Response Lab, the students take post-surveys to assess their understanding of teamwork, communication procedures across health-care disciplines, and the relationship between the context of their scope of practice and problem solving in real-world contexts. Survey results showed that statistically significant growth occurred in students’ ability to work in and contribute to teams and to facilitate communication. In addition, student comments from the survey showed that they developed more positive perceptions regarding team communication and management.19 Throughout the IPL experience, students reported that their own perceptions of positive interdisciplinary experiences were strengthened as they were able to learn from the expertise of other disciplines. In addition to these events, schools within LLU are working to provide opportunities and broader contexts in which interdisciplinary experiences can occur. For example, the schools of dentistry and pharmacy have created opportunities for students and professors to collaborate on case studies in order to provide a context in which students can apply their learning. This process encourages students to reflect on how the attitudes, communication styles, and skill sets inherent to their discipline contribute to collaboration and better patientcare. The LLU School of Nursing has created an Ethical Dilemma Lab where groups of seven to nine nursing and pharmacy students partner to interview a “family” struggling with an ethical issue. Prior to the lab, each participant is assigned a role, sent a scenario overview, and given journal articles to review. After their preparation, each team conducts a 20-minute interview with actors portraying a family to provide guidance and support, and aid in problem-solving. These interactions are videotaped and reviewed prior to debriefing and reflection. Teams discuss their effectiveness in guiding the ethical conversation, showing empathy, providing evidence-based information, and increasing their level of professionalism. LLU’s Center for Interprofessional Education Research Team (CIPER) has also begun to develop frameworks and methodologies to guide interprofessional work, conduct research, and inform future IPL opportunities. This team, under the guidance of Christiane Schubert, PhD, involves professionals from the schools of medicine, dentistry, nursing, and pharmacy, as well as representatives from Loma Linda’s Veterans Administration Hospital. This work is designed to promote foundational research in clinical settings in order to examine ways that interdisciplinary professionals can collaborate to achieve optimum outcomes for patients.20 By guiding work in these areas, the team hopes to encourage a higher quality of whole-person care, ensure better patient outcomes, and contribute to a more resilient health-care system. Increase the level of parental knowledge and attitudes so that they can provide early stimulation to their children from birth to age 5. Teach parents about the principles of nutrition, and how to prepare healthful and appetizing foods for their children from birth to age 5. Help ensure that parents bring their young children (from birth to age 5) to well-baby clinics and healthy child checks as established by the country’s Ministry of Health. Enrich the affective interactions between couples to improve relationships among family members. Improve mothers’ and fathers’ implementation of healthful lifestyle habits in personal hygiene and cleanliness in their living areas. Establish a Community Center for Early Stimulation. A team of faculty members from the participating departments mentioned above developed an action plan based on the project’s objectives and the desired learning outcomes for each participating department. Nursing, psychology, and nutrition students collaborated on the project and jointly conducted home visits and educational programs. Similarly, psychology and theology students worked together to enhance marital relationships in their clients. This collaborative work experience generated a shared inter-professional vision among the faculty and administrators of the participating departments, which offered improved outcomes in the health care of individuals and families in the community. The following year in 2013, the School of Health Sciences, with the participation of the nursing, psychology, and human nutrition faculties, implemented the following project: “Heathy Girls and Boys for a Secure Future” in several communities. This second joint project reaffirmed the need for a coordinated interdisciplinary plan of action in the community because previously, students in each of these departments had conducted their community practice independently. This led to duplication of effort and cost, and frequently did not produce the desired outcomes in the community. For this reason, since 2013, the School of Health Sciences has implemented an Interdisciplinary Community Internship for its nursing, human nutrition, and psychology programs. The faculty responsible for the community internship meet at pre-determined times to develop a joint work plan that takes into account the desired competencies and learning outcomes, and course content, and arrange for a needs assessment of the community. During the first week of the practicum, the students participate in an induction and orientation program. Next, they conduct a community needs assessment. Then, together with community leaders and administrators, as well as local representatives from the Ministry of Health, a multidisciplinary team develops an action plan. The team, in coordination with faculty from the participating disciplines, plan the students’ clinical practice according to the competencies they want the students to acquire. This experience with interdisciplinary learning has enriched and increased the capability of students, faculty, and administrators. Students learn teamwork; acquire/develop skills related to negotiation and conflict resolution; learn assertive communication; and learn respect and tolerance for others’ opinions. They also develop leadership skills as they coordinate with institutional leaders and community-center personnel within the municipality; acquire knowledge regarding the roles of the other professions participating in the project; and prepare for their year of government-required social service upon completion of their degree. Faculty acquire expertise in curriculum development and revision and identify courses or content that will enable students to develop the necessary competencies to engage successfully in interdisciplinary work. They also identify methodologies and strategies to address community and interdisciplinary practice; learn terminology unique to each of the professions involved and build competency in areas of concentration. Above all, they learn to role-model teamwork and develop practice guidelines. As a result of this experience, UPeU is expanding student-intervention scenarios. For example, the school has established a strategic alliance with some of the hospitals and clinics throughout the country to work on a project called “Total Health” in which nursing, nutrition, and psychology students will participate, and as of 2018, medical students as well. Even though the value and outcomes of interdisciplinary learning are positive and promising, a variety of barriers and challenges such as scheduling must be overcome. However, great benefits could be achieved from the following collaborations: integration of medical and nursing students into acute-care situations; engaging nursing, medical, and psychology students in emergency situations and disasters; and the teaching nursing and psychology students to collaborate in managing adolescent pregnancies. The areas of health care where interdisciplinary practice would increase the benefit to the client, community, and society, while at the same time increasing career satisfaction for the health professional, are many. These illustrations show how Loma Linda University and Universidad Peruana Union are creating opportunities for student interaction across disciplines to mobilize energy and facilitate collaboration on various health issues. These opportunities help students to acquire and develop effective communication skills, teamwork, collaborative problem solving, and reflective insights to navigate through ethical challenges. In addition, these interdisciplinary experiences enable students to broaden their skillsets as they collaborate with fellow clinicians to improve and implement patient care. The simulated and real-world projects modeled by these two schools provide a greater insight into ways that university departments can collaborate to prepare an interdisciplinary workforce with the diverse strengths and expertise to ensure a more responsive and effective health-care systems. 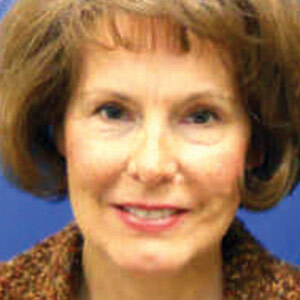 Kathi Wild, MS, RN is an Assistant Professor at Loma Linda University School of Nursing (LLUSN). She worked as a psychiatric nurse before completing her Master’s degree in Psychiatric-Mental Health Nursing from Loma Linda University. Ms. Wild taught Community Mental Health for five years at LLUSN, and later worked as a public health nurse, then Program Manager for Inland Regional Center’s Early Start program, which coordinates services for infants and toddlers at risk for developmental delay.In 2012, she returned to LLUSN and most recently has been course coordinator for Capstone Nursing Practicum and Capstone Leadership and Management courses in which she helps to develop interprofessional learning experiences for LLU students. Ms. Wild volunteers as an RN at Cornerstone Community Free Clinic and also serves on the board of the Inland Empire Healthcare Education Consortium. 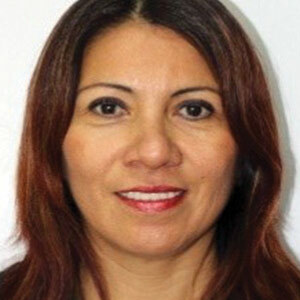 Lili Fernandez Molocho, DPH (Specialty: Intensive Care), is a faculty member in the undergraduate and graduate programs in nursing at the Universidad Peruana Unión in Lima, Peru. She has 25 years of clinical experience, 23 years of teaching experience, and spent six years as Dean of the School of Health Sciences at the university. Kathi Wild and Lili Fernandez Molocho, “Interprofessional Education at Two Adventist Universities,” The Journal of Adventist Education 79:5 (October-December 2017): 38-42. Available from https://jae.adventist.org/en/2018.1.7. Linda T. Kohn, Janet M. Corrigan, and Molla S. Donaldson, eds., To Err Is Human: Building a Safer Health System (Washington, D.C.: Institute of Medicine National Academy Press, 2000): https://www.nap.edu/read/9728/chapter/1. Committee on Quality of Health Care in America, Crossing the Quality Chasm: A New Health System for the 21st Century (Washington, D.C.: Institute of Medicine National Academy Press, 2001): https://www.nap.edu/read/10027/chapter/1. doi:10.17726/10027. John H. V. Gilbert, Jean Yan, and Steven J. Hoffman, “A WHO Report: Framework for Action on Interprofessional Education and Collaborative Practice,” Journal of Allied Health 39:3 (Fall 2010): 196, 197. Interprofessional Education Collaborative Expert Panel, Core Competencies for Interprofessional Collaborative Practice: Report of an Expert Panel (Washington, D.C.: Interprofessional Education Collaborative, 2011). The Josiah Macy J. Foundation (2015): http://macyfoundation.org/contact. Afaf I. Meleis, "Interprofessional Education: A Summary of Reports and Barriers to Recommendations," Journal of Nursing Scholarship 48:1 (December 2015): 106-112. Tanya R. Lawlis, Judith Anson, and David Greenfield, “Barriers and Enablers That Influence Sustainable Interprofessional Education: A Literature Review,” Journal of Interprofessional Care 28:4 (July 2014): 305-310. Amy V. Blue et al., “Assessment and Evaluation in Interprofessional Education: Exploring the Field,” Journal of Allied Health 44:2 (Summer 2015): 73-82. Afaf I. Meleis, "Interprofessional Education: A Summary of Reports and Barriers to Recommendations." Désirée A. Lie et al., “Interprofessional Education and Practice Guide No. 5: Interprofessional Teaching for Prequalification Students in Clinical Settings,” Journal of Interprofessional Care 30:3 (May 2016): 324-330. Joseph Zorek and Cynthia Raehl, “Interprofessional Education Accreditation Standards in the USA: A Comparative Analysis,” Journal of Interprofessional Care 27:2 (March 2012): 123-130. May Lutfiyya et al., “Setting a Research Agenda for Interprofessional Education and Collaborative Practice in the Context of United States Helath System Reform,” Journal of Interprofessional Care 30:1 (July 31, 2015): 7-14. doi: 10.3109/13561820.2015.1040875. WHO | Framework for action on interprofessional education and collaborative practice (n.d.). Retrieved August 20, 2017, from http://www.who.int/hrh/resources/framework_action/en/. WHO Framework for action on interprofessional education and collaborative practice. Janice C. Palaganas, “Exploring Healthcare Simulation as a Platform for Interprofessional Education.” PhD diss., Loma Linda University, 2012. Angus K. McFadyen, Valerie S. Webster, and W. M. Maclaren, “The Test-retest Reliability of a Revised Version of the Readiness for Interprofessional Learning Scale (RIPLS),” Journal of Interprofessional Care 20:6 (December 2006): 633-639. doi: 10.1080/13561820600991181. U.S. Department of Health and Human Services, TeamSTEPPS: Pocket Guide: Strategies and Tools to Enhance Performance and Patient Safety, Version 2.0 (Bethesda, Md. : U.S. Department of Health and Human Services, 2013). The study comprised of 402 participants (senior allied health, medicine, nursing, and pharmacy students) who completed a discipline-specific course followed by a four-hour synchronous experience which included simulations such as resuscitation, decontamination, mass casualty triage in an active shooter event. For more information see Tae Eung Kim et al., “Healthcare Students Interprofessional Critical Event/Disaster Response Course.” American Journal of Disaster Medicine 12:1 (Winter, 2017): 11-26. doi:10.5055/ajdm.2017.0254. C. W. Schubert et al., The CIPER-Team: Conducting Patient-centered Research in a Complex, Interprofessional Health Care World (Loma Linda, Calif.: Loma Linda University Faculty Development Showcase 2016).